We desire to advance church planting movements around the world. To accomplish this, Xenos works primarily through Global Partnerships to connect the dynamism of church planting movements with resources Xenos is uniquely able to offer. We use these Engagement Standards to decide how closely aligned a missionary or a ministry is with Xenos' priorities in missions. We will send western missionaries to existing fields or new fields when we conclude that national workers cannot succeed without the assistance of foreign personnel. For example, they might need theological and/or ministry training or special expertise not available among their people, or some fields may remain unreached by near-neighbors. Western missionaries can play a key role in facilitating and advancing church planting movements and developing national leaders. Read the content below for more information on the different missionary accreditation categories, our priorities for missions, and the process by which we accredit prospective missionaries. All applications for missionary work within Xenos Christian Fellowship will fall into one of the four types of accreditation explained below. Applicants who desire to go overseas are required to belong to the Servant Team. Any changes in the mission, location, team leadership or sending agency requires the missionary to reapply for accreditation. 1) Commissioned Missionary is a couple or individual that is commissioned and sent by Xenos Christian Fellowship working overseas with a ministry centrally aligned with our priorities. Candidates in this category receive as much oversight and promotion as the church offers a missionary. Additionally, the missionary can receive the maximum amount of financial support offered by the church. The missions division and the missionary will agree upon the specific fundraising parameters through the memo of understanding (MOU). Only servant team members are eligible to receive this status. 2) Strategic Partner is a couple or individual engaged in a missionary endeavor overseas, which makes a significant contribution to the world Christian movement. However, the assignment does not sufficiently align with Xenos’ central priorities for missions. Therefore, Xenos does not consider the candidate commissioned and sent by the church. Candidates in this category receive limited oversight and promotion. The strategic partner will be offered moderate financial support from the church. The missions division and the strategic partner will agree upon the specific fundraising parameters through the MOU. Strategic Partners can apply for the commissioned accreditation category if the ministry becomes aligned with Xenos’ central priorities for missions. Only servant team members are eligible to receive this status. 3) Well-Wisher is a couple or individual working for a missions agency or parachurch organization that is indirectly involved in church planting; playing a pastoral support, mobilization or administrative role. The well-wisher category includes any worker employed by an agency based in the United States. Because the individual is an employee of the agency and is acting on their behalf, they receive minimal oversight and promotion from Xenos. Additionally, the well-wisher will be offered minimal financial support from the church. The missions division and the well-wisher will agree upon the specific fundraising parameters through the MOU. 4) Unaccredited – The candidate or their proposed ministry is not suitable for accreditation. Consequently, we cannot approve their request. Candidates receiving this accreditation category do not meet our character requirements, or the ministry objectives lie outside the scope of Xenos’ priorities for missions. Individuals with this status are ineligible to receive oversight, promotion, and financial support. Even if approved by a missions agency or ministry, Xenos may not guarantee support. 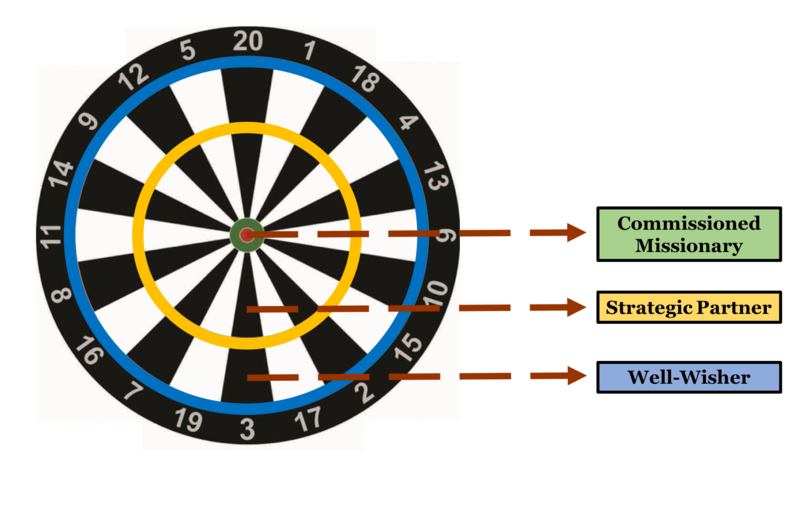 The diagram displayed on the right shows the three areas we look for in prospective missionaries. 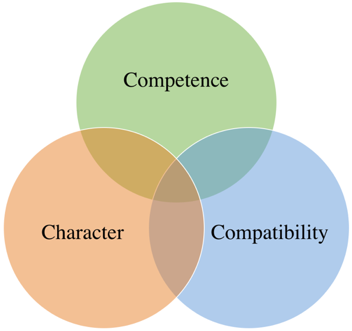 Compatibility refers to how aligned a missionary or ministry is to Xenos' priorities in missions. This is explained in further detail in the following section (Our Priorities in Missions). All missionaries must meet the following Character and Competence Qualifications. Due to the nature of the work, long-term missions involves incredibly sophisticated and advanced ministry skills. Missionaries must be men and women who possess proven character, a strong marriage, and expertise in cross-cultural ministry, among many other things (1 Tim. 3:1-13; Titus 1:5-9). Only those who successfully serve Christ at home, proving to be effective leaders, church planters, and disciple-makers, will be able to make a positive, lasting impact abroad. Missionary work is, therefore, not for everyone and at Xenos we go to great lengths to ensure the quality of the workers that we send. We decide how closely aligned a ministry is to Xenos' priorities in missions by measuring it up against our Engagement Standards. The level of alignment will show how compatible the mission of the ministry or missionary is with Xenos' strategy. The missions division conducts a careful examination of ministries before forming cross-cultural partnerships or sending missionaries overseas. Central Priority – The commissioned missionary participates in a ministry strongly aligned with Xenos' Engagement Standards. If a ministry were to receive a high score on our engagement standards, it would most likely be considered a Global Partner. Global Partners are collaborative ministries Xenos has with indigenously led church planting movements, primarily among responsive, poor, and unreached people groups. Significant Priority – The missionary is engaged in a work that makes a significant contribution to the world Christian movement but does not sufficiently align with our engagement standards. If the ministry were to develop into a global partnership by more closely aligning itself with our engagement standards, the missionary could receive commissioned status. Peripheral Priority – The applicant is considered a well-wisher if they work for a missions agency or parachurch organization in a pastoral support, mobilization, or administrative support role. In general, this applies to workers based in the USA. Step #1 - Prospective missionaries are encouraged to meet with a representative from the missions division at the beginning of the process for direction. We strongly recommend taking this step before making a field visit, research or completing an application with a missions agency. Step #2a - Existing Field Opening: This process begins when an existing field requests additional missionaries. The missions division reviews the request and makes a recommendation to the elders. Once the elders approve the request, the missions division will post the opening to the church and begin accepting applications. Prospective missionaries must complete our long-term missions application and obtain four references (two from home church leaders and two from close friends or relatives). Step #2b - New Field Accreditation: To open a new field, the prospective missionary will submit a field proposal to the missions division by filling out the XCF Vetting Documents. We expect the candidate will conduct thorough research of the field, which may include a self-funded field visit. The field proposal consists of a complete assessment of the field, the missionary’s role, and the local ministry partnering with (if applicable). When applying, candidates will not be able to specify the accreditation category they intend to pursue. Rather, their accreditation status is decided by the Xenos elders. The new ministry could potentially qualify to become a Global Partner, depending on how closely aligned with our engagement standards the ministry is. To obtain XCF Vetting Documents, applicants should contact the missions division. They must also fill out the long-term missions application and obtain four references (two from home church leaders and two from close friends or relatives). Step #3 - Review Process: Once the field proposals, applications, and references are complete, the missions division reviews these documents and makes a recommendation to the management team and church elders regarding which accreditation category the applicant will receive. Step #4 - Accreditation Category Assignment: The elders review the recommendations and make the final determination on the applicant's accreditation status. Step #5 - Missions Agency Candidate Assessment: Once an accreditation status is assigned, the missions division coordinator will contact the applicant and the missions agency. The prospective missionary will complete the agency's application and work with them to schedule a full assessment. At the conclusion of the assessment, the missions agency notifies the missions division coordinator regarding the results of the assessment. The agency will approve, identify additional requirements before approval, or reject the candidate. Step #6 - Pre-Field Requirements: Once the agency approves a prospective missionary, there are a series of preparatory steps taken before deployment. At this time, their designation changes from prospective missionary to appointee. Although it varies on the needs of the applicant, there are three common requirements. First, the appointee develops a budget, which the team leader, missions division, and elders must approve. The budget includes relocation, training, and ongoing expenses. Second, the applicant must complete any agency pre-field training requirements. These vary from agency to agency. In some cases the training takes place in the USA, in others, it is overseas. Third, the applicant must complete their fundraising goals. Step #7 - Deployment: Once all pre-field requirements are complete, the appointee works with the missions division coordinator and missions agency to set a departure date. The process described above can typically take from six months to two years.